Toby came in to rescue with Reyna who was already adopted. 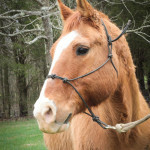 He is a ten year old, red dun, quarter horse gelding. 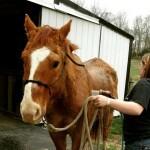 Toby stands well to be groomed, bathed, and for the farrier. 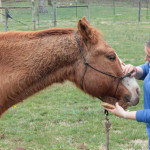 Our team has evaluated Toby and suggested that he currently needs an intermediate rider. Toby is sensitive and responsive to cues given by his rider and will occasionally try his rider to see what he can get away with.